Globe Prepaid WiFi subscribers can now register to a promo that gives up to one-week mobile data validity together with unlimited texts to all networks. For only 70 pesos, you can subscribe to GOSAKTO 70 to get combo data and text services plus another 2GB of data exclusive to GoWatch and Play content. With this offer, you can use your allocated data access your favorite apps like Facebook, Twitter, Instagram and other social media websites. You can also stream videos and play online mobile games with the dedicated 2GB data. You can subscribe to this promo via SMS keyword, USSD code menu and via the GoSAKTO mobile app. If you want the easiest way to register, just use the code provided below as your reference. Text GOSAKTO70 then send to 8080. This promo is formerly known as GOTSCOMBODD70. GoWatch apps are YouTube, Netflix, DisneyLife, HOOQ, iWANT, iflix, Viu, FOX+, Cartoon Network, NBA and ONE. Play games include Rules of Survival, AOV (Arena of Valor), Mobile Legends, Clash of Clans, Clash Royale, Pokemon Go, and Free Fire. 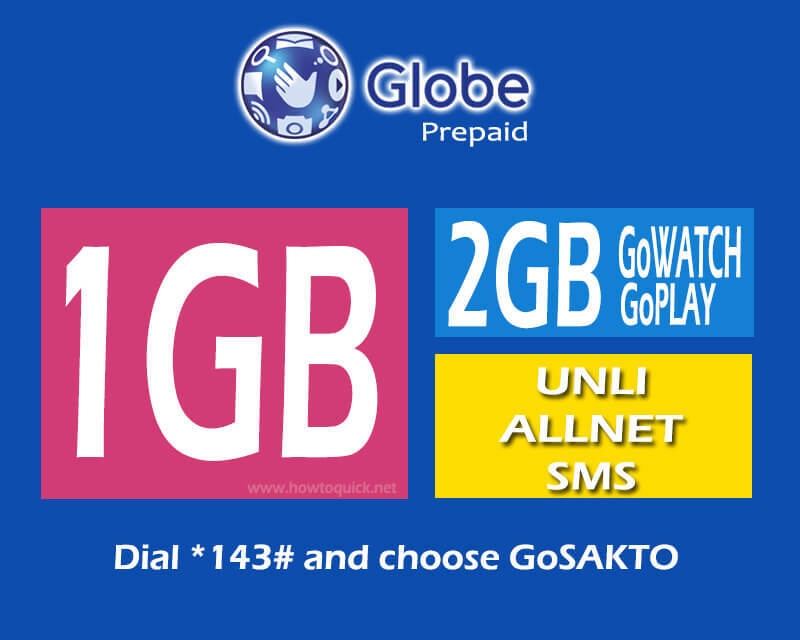 Check out upgraded GoSAKTO90 - 2GB data + 7 Day Unlimited text to all networks. Make sure you have enough load balance on your account before you register to this promo. After texting the keyword, wait for the SMS notification from Globe/8080 that says your promo is already active and ready to use. For updates and more information, you can always visit the Globe website and social media pages.